WTF Are You Reading? : Explore The Depths of Mysticism and Magic In "Legend of the Oceina Dragon"
Explore The Depths of Mysticism and Magic In "Legend of the Oceina Dragon"
Darien Oceina is the youngest son of the Great Dragon Lord of the Water. For years he¹s loved and cherished Tai Dawson from afar. Tai is a simple, ordinary girl who doesn¹t even know Darien exists. On his eighteenth birthday, he chooses her as his wife. But there’s one problem: She thinks his choice means she¹s going to be offered as a sacrifice to the Dragon Lord, but instead, she's forced to move to his home, far away, to give up her life and be his bride. Darien Oceina is no stranger to heartache. In fact, given the tragic circumstances surrounding his birth; on could say that it is an emotion he was born to. To make matters worse for the young lordling, he is said to be one of the "touched". The "touched" of dragon lore are possessed of great magic, and as such are often feared and misunderstood. Darien is just such a case. Darien has loved Tai Dawson from afar for most of his young life. With the coming of his eighteenth birthday and his mating time...Darien plans to close that distance permanently. If she will have him. The bittersweet first offering in the Dragon Saga series is the perfect introduction into the magic and mysticism that comprises the world of the Elemental Dragon Lords. 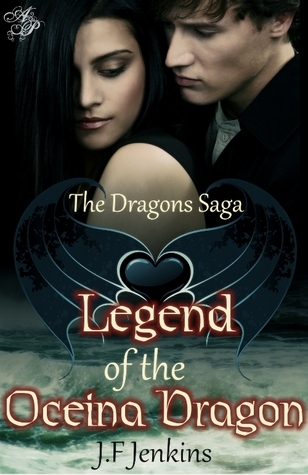 The tale told within the pages of Legend of the Oceina Dragon, is one of family, betrayal, forgiveness, and love. J. F. Jenkins makes makes walking between the worlds of the magical and the mundane a truly transcendent experience. Championing the virtues of family, marriage, love and honor without preaching or condescension. 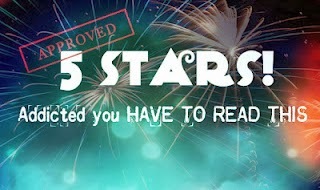 This is the first book in what this reviewer has come to know is indeed an awesome series!